Arizona School for the Deaf & Blind Upgrades their School Nutrition Solution to eTrition! 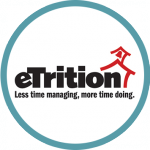 Harris is pleased to announce that the Arizona School for the Deaf & Blind will be upgrading from their Meal Tracker legacy program to eTrition (SaaS), our cloud based solution. They will be upgrading both their Phoenix & Tucson campuses. With the upgrade to eTrition (SaaS), the district will now be able to take advantage of a centralized database, allowing for control of both campuses from one location. eTrition (SaaS), is hosted by Harris, so the district will not only gain greater flexibility from a centralized database, but will also save time & money by no longer needing to maintain a program locally. HARRIS SCHOOL SOLUTIONS TO PARTNER WITH SCHOOL RUSH!